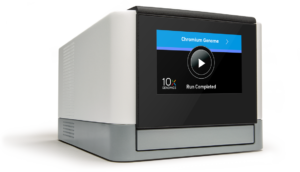 The compact, sleek Chromium Controller from 10x Genomics, has been designed to rapidly and efficiently automate the equivalent of 100,000s to 1,000,000s of pipetting steps for highly parallel sample partitioning and molecular barcoding. 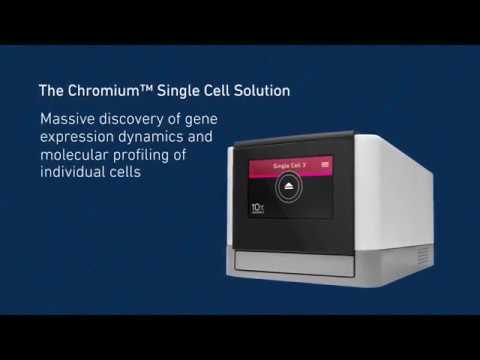 The Chromium Controller allows a user to run any of our Chromium Single Cell Gene Expression, Single Cell Immune Profiling, Genome Sequencing and Exome Sequencing Solutions. The Chromium System, powered by GemCode™ Technology, is an innovative system that transforms the capability of existing short-read sequencers. With millions of uniquely addressable partitions, the Chromium System unlocks critical genomic information. The Chromium Exome provides long range information, enabling phasing, structural variant detection and copy number determination. Low complexity and repetitive regions previously missed with short-read sequencing are now accessible.